The 15 wooden spill gates designed to control floodwaters on Rainy Lake are on their way out. Over the next few years, Boise Paper in International Falls and the Canadian company H20 Power in Fort Frances, Ontario, which run the dam, will replace the decades-old wooden gates with steel. The change is needed because the gates are starting to deteriorate and leaking water, said Nolan Baratono, who serves on the water levels committee for the International Rainy-Lake of the Woods Watershed Board. "The leak was significant," he said. "That can be a problem when we have low water." In dry seasons the spill gates are closed, forcing the flow of water out of Rainy Lake through power generators in the Boise and H20 facilities. When Rainy Lake floods as it did last year, the wooden gates are raised to allow the lake to drain down the Rainy River toward Lake of the Woods. When the spill gates leak, Baratono said, the dam generates less power. Dam operators are starting to have trouble moving the gates up and down, which could make flooding worse on Rainy Lake, he said. Lori Lyman, public affairs manager for Boise Paper, said in an email that the gates are reaching the end of their lifespan and need some work. "A specially designed coffer dam is being used to isolate two gates at a time so the gates can be refurbished in a dry and safe environment," she wrote. Baratono said the spill gates have not been replaced since the dam was built in 1905.
International Falls Mayor Bob Anderson, who in 2011 retired from a 51-year career at Boise, said the gates were never replaced during his time at the company. Construction to install new steel gates began in early June and will continue through 2017, according to Lyman. In preparation for the project, Baratono directed Boise and H20 Power to lower water levels in Rainy Lake about 6 inches below normal. "It was a tough call," Baratono said. Slim snow pack and spotty rain this spring made for a dry season. Ordinarily Baratono's water level committee would be trying to conserve water. But Rainy Lake is coming off one of the worst flood years in history. 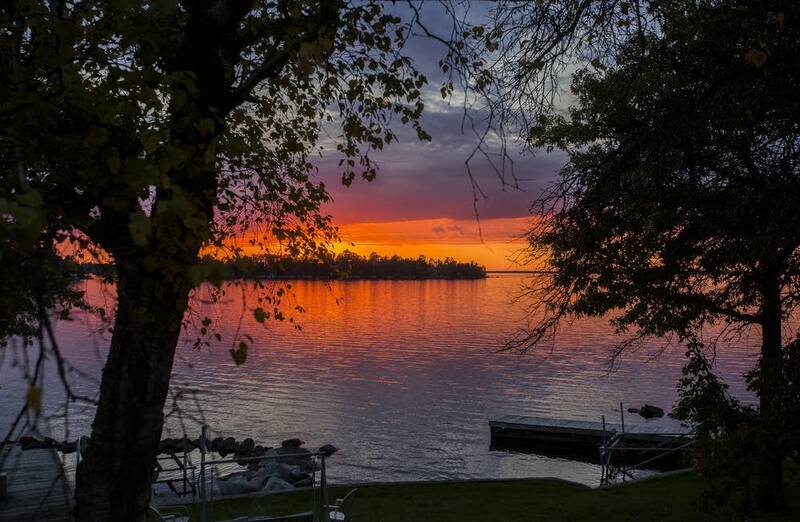 Early last summer, floodwaters on Rainy Lake nearly broke a 60-year record. Even with the dam gates wide open, the National Guard was called in to sandbag. With two spill gates under construction, Baratono said lower water levels are insurance against another flood.